Late in the evening on Thanksgiving, after much of the family had left and a handful of us remained, my dad told a story from his childhood. Dad was born in 1929, the same year of the Great Stock Market Crash and the beginning of the Great Depression. 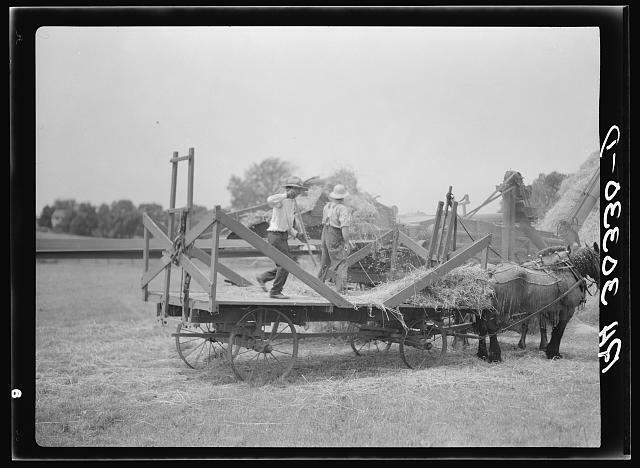 In the early thirties, farmers in the Midwest were affected by plunging commodity prices and more. Chinch bugs and grasshoppers wiped out entire crops. A crippling drought hung on for years. Many farmers lost their land to the bank. Dad’s parents, Hanford and Beulah, were no different. Their neighbors lost their farms back to the bank and moved away. Soon, Dad’s family would lose theirs, too. As The Grapes of Wrath described, families and persons headed west in search of any job that would allow them to survive with a drop of dignity. Beulah’s brother and his wife were among them, leaving northern Missouri for Idaho where they would live the rest of their lives. It was the norm in those days. When Dad was five or six, a transient showed up at the farm east of Washington Center, Missouri. Nearly eighty years later, Dad remembers the man distinctly. His name was Charlie Osmon. He could not speak clearly, he did not bathe regularly, and all he wanted was a chance. Hanford and Beulah, themselves barely hanging on, had little to offer, but Granddad hired Charlie as a farm hand for fifty cents and room and board. That’s fifty cents a day. Fifty cents equal eight dollars and change today. Sometimes, Hanford could not afford to pay Charlie. Hanford was about thirty; Beulah was younger. They had two small boys and a hard life. Compared to Charlie Osmon, however, they were fortunate. Hanford and Beulah could have told Charlie to head on down the road. Who would have blamed them? But they opened their home to a smelly, odd stranger, giving him a chance to catch his breath. They walked the walk. Like many people my age, I saw glimpses of the impact the Depression had on my grandparents — two-inch squares of foil, gum wrappers and rolls of string knotted together and squirreled away for some future need that never materialized. Through Dad, I may have gotten something more. Charlie Osmon experience had a great impact on my father. It showed him that even the poorest among us deserve to be treated with as much dignity as the richest. He learned to look past a person’s appearance and social status to see them as fellow humans. I hope he passed that on to my siblings and me, even if we didn’t realize it. Maybe it’s even carried down to my daughters, who never knew Hanford and Beulah. What impresses me most about the story of Charlie Osmon, however, is how typical it was of that time. I’m confident many families have a similar story somewhere in their family trees. Either they had someone like Hanford and Beulah, or they had someone like Charlie Osmon, a person willing to work hard when given a chance, a person willing to go to great lengths to save his self-respect. We still carry the DNA of Hanford, Beulah and Charlie. Perhaps Charlie made it all the way to Oregon or northern California where he found work that sustained him. Or maybe he preferred an unfettered landscape and stopped for good in Nebraska. I hope there are Osmons out west somewhere, good people who have heard the story told and retold of how their ancestor showed up at the door of poor dirt farmers in Missouri, and how he found that door open to him. I hope Charlie Osmon had a chance to do the same for someone else down the line. I think he would have taken it.